SAVANNAH MOON PRODUCTIONS in conjunction with KINETIC ENTERTAINMENT are holding auditions for an upcoming 12-part series project. 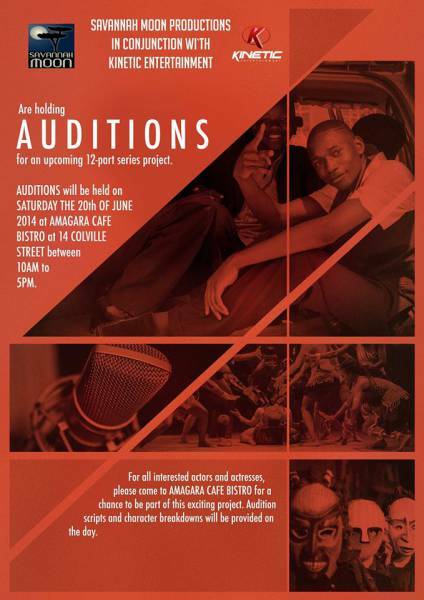 AUDITIONS will be held on Saturday the 21st of June at Amagara Café Bistro10AM to 5PM. For all interested actors and actresses, please come for a chance to be part of this exciting project. Audition scripts and character breakdowns will be provided on the day.